I know that I should get cranking on all of the Finger Lakes-related posts that I have to write, but I wanted to take a moment to congratulate a friend on the release of his new book. 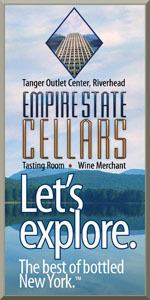 You might know him as the director of operations at Roanoke Vineyards. But, in addition to his duties as LENNDEVOURS' poet laureate, Christopher Watkins is a poet, musician and all around good guy. 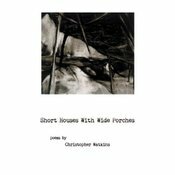 So today, I'm happy and proud to announce that his book of poetry "Short Houses With Wide Porches" is now available for purchase. Rumor has it that it's quite good and that he is also conspiring with a certain New York wine blogger on a project that will include some of his wine poetry. I've looked for the book in my local bookstore but I haven't been able to find it. Is there an online store I can get this at? I also love Christopher Watkins, he really is an all-rounder and I'd love to add this new one to my collection.